Shack Shine is your Coquitlam exterior house cleaning service! Keeping your house clean and shiny is our goal. That’s why our uniformed, friendly technicians arrive at your home in shiny, organised trucks to begin work on your exterior house detailing needs, and we get it all done in one detailed visit. We know you’re busy and that’s why we’re happy to stop by and get all of your home’s detailing taken care of in no time. Shack Shine knows you want to take care of your home, but you need a fast, easy solution because you’re busy. 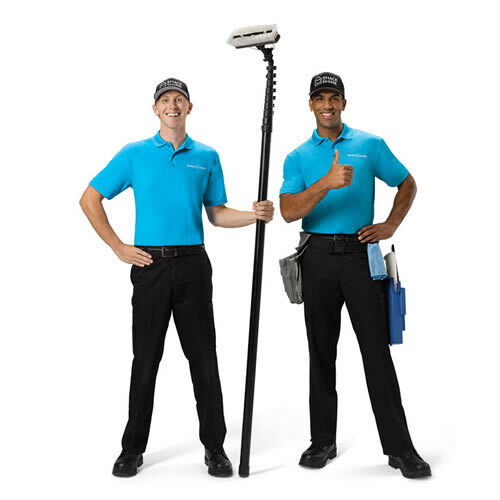 When you put our technicians to work, your home will love you. Cleaning the gutters of your home is critical to ensuring water can flow properly and effortlessly away from the home’s foundation. No one wants to get their hands dirty, though. With our gutter and eavestrough cleaning, we’ll remove all of the debris and blockages. We use a high-powered vacuum attached to a large canister to safely remove all of this debris. We rinse out the gutters to ensure they are working well. And, we’ll wipe down the outsides, too. No ladders, no risk of falling, and still a perfectly clean gutter. Happy home, happy family! The windows of your home need to be spotless, but who has time to handle that? We do! When you call the technicians at Shack Shine for interior or exterior window cleaning, you get windows you love looking out every day. We even get those windows that are hard to reach such as your skylights and wipe down the exterior frames. You’ll have a home so bright, you gotta wear shades! Let’s not stop at the gutters. Our Coquitlam exterior house cleaning services also extend to the roof. With our proper roof washing service, we can remove most of the debris, grime, moss, and other buildup on the surface of your roof shingles. This creates a like-new look. It also ensures that your roof’s surface is less likely to deteriorate too soon. Shack Shine’s technicians handle roof cleaning in a safe and secure manner so that your home (and our technicians) are never at risk. Power washing the exterior of your Coquitlam home makes good sense. It provides a way for our team to properly protect your home’s exterior surfaces by removing the buildup of grime, debris, dirt, and overall weathering. Yet, it does so without the use of chemicals. This helps safeguard the environment and your landscaping. Pressure washing services are the perfect solution for most horizontal surfaces on the exterior of your home. This includes your home’s exterior structure, but also decks, patios, and other hard surfaces. Our team goes to work for you applying the proper level of pressure the ensure no risk to the surface but plenty of beautiful, shiny results. When you use this Coquitlam exterior house cleaning service, your home will love you. Shack Shine’s Coquitlam house washing service ensures your home is the shiniest home on the block. We use two methods to create a like-new look to your home. First, we use a soft wash or hand wash. This helps ensure a deep-down clean that is still very protective to the exterior surfaces. We also use pressure washing. For vinyl, wood, or delicate surfaces, our soft wash method is best to ensure a fantastic finished look without any potential damage to the surface. When it comes to having a home that’s clear of debris, moss, or mildew buildup, it all starts with our Coquitlam house detailing service. Our Shack Shine technicians are ready to help you make your home shine the brightest this Christmas. We offer lights in a variety of colors and shapes, making the 100% customizable. We also measure and cut the lights to fit your unique roofline, windows and landscaping. Even better, our commercial grade lights are energy efficient, longer laster and brighter. Martin has been in the service industry since his early 20’s. After building up a successful business with Student Works Painting, and graduating from Simon Fraser University with a Bachelors of Business, Martin was left with the ambition to start on a new adventure. 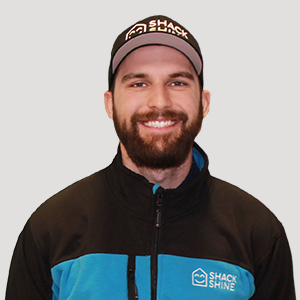 Looking at many opportunities, he chose to start a Shack Shine franchise in his hometown of Coquitlam. Off the clock, Martin is an avid fisherman, most commonly exploring local rivers and lakes. Fly Fishing is his passion and if you don’t see him shining homes, you will find him exploring new waters in BC’s backyard.